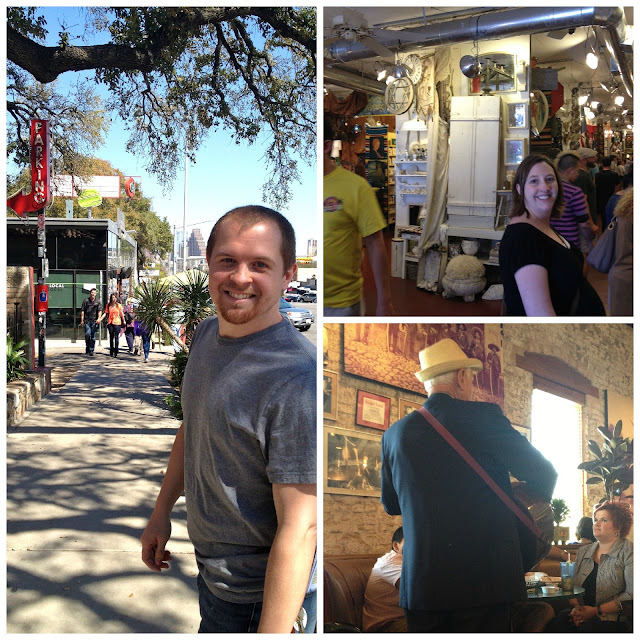 After our first busy day in the Austin area, we definitely slept well and were ready for day two! After we ate, got ready, and packed up, we were ready to hit up the city for some more fun! 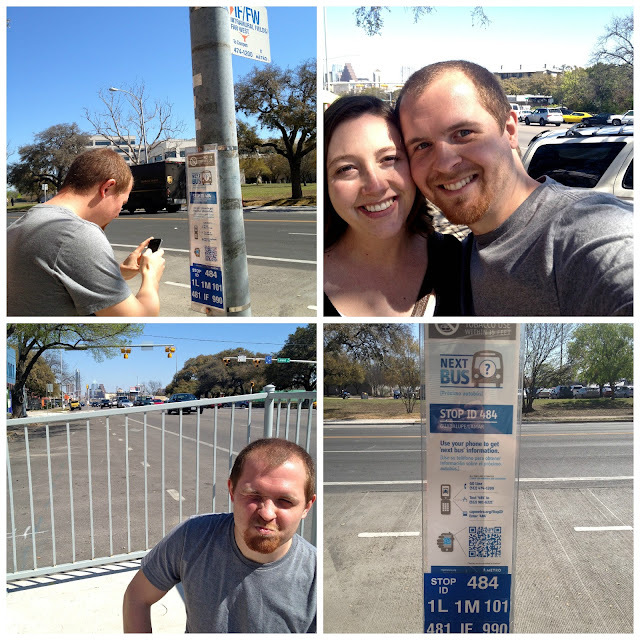 Since we weren't so sure about the parking situation (especially with SXSW...a big music/film festival going on) we decided to take the city bus. It was cheap, easy, and was almost stress-free (apart from figuring out the detours due to the big festival!). We headed to the SoCo district because we'd heard it was a fun area to explore and had some good eats. After a little more exploration time, we decided to walk to Gourdoughs and see what the fuss was all about. 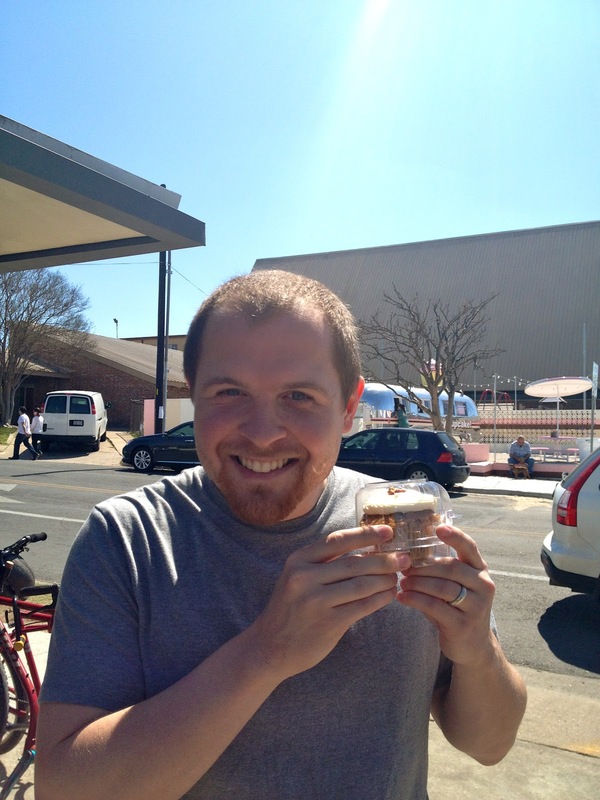 I mean, giant donuts....who can resist? At this point (after stuffing my face with caramel, apple, and doughy goodness), I was starting to fade a bit and the afternoon was wearing on. We had wanted to go to a few other places that day, but decided it was best to choose one more activity and then head home. After some debating, walking to the wrong bus stop (a few times...), and then finally getting on the right bus, we finally made it to the Capitol. After the Capitol, we caught a bus (we knew the drill by then) to our car, stopped for blizzards at DQ on the way home, and enjoyed lots of goofy and light conversation. It was a quite a quick trip, but it was such a wonderful little getaway before the baby comes. We had times of relaxing and times of going. We ate lots of delicious food, explored new places, and simply enjoyed each other's company without our normal distractions. Did anyone else go on a babymoon? Or a getaway before a baby or big changes? What did you do? We are going on our "babymoon" next week! I am just a bit behind you - 34 weeks today. My husband and I are both teachers and are finally (finally!!!!) on Spring Break. So, we are going camping for a few days. I am still feeling pretty good, and I think I can handle it - as long as we bring a chair for inside the tent - for putting clothes and shoes on - and an air mattress to sleep on. Haha. I am really looking forward to it. Our last pre-baby camping trip. We are planning on some post-baby camping trips, as well. Fun times! 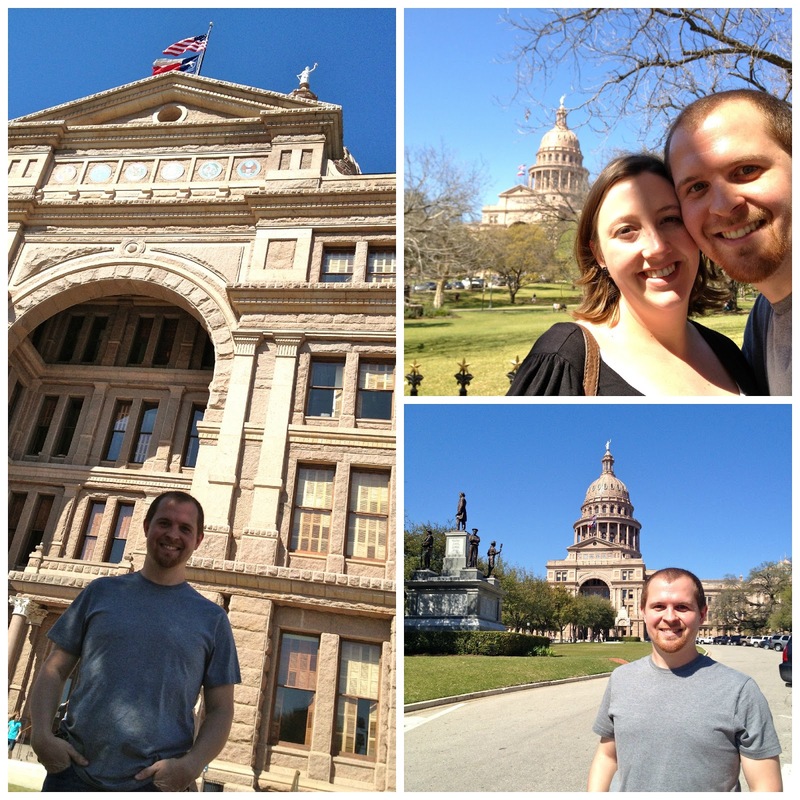 I am glad you both enjoyed Austin!